Welcome to The Burton Musical Theatre Company – we hope you will consider joining us – either as a performing member, or as part of the stage crew of front of house. Do I have to audition to become a member? We are a company performing musical theatre, which therefore involves singing, acting and movement/dance. Therefore you are expected to be able to do all three to a degree of competency. There may be occasions when an individual is invited to perform, this is on a show by show basis and does not confer automatic membership. When does the Society rehearse? 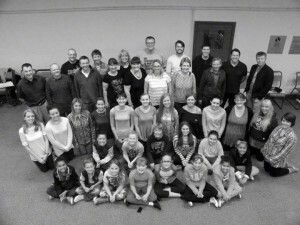 The Company rehearses at our headquarters in Ferry Street, Stapenhill. 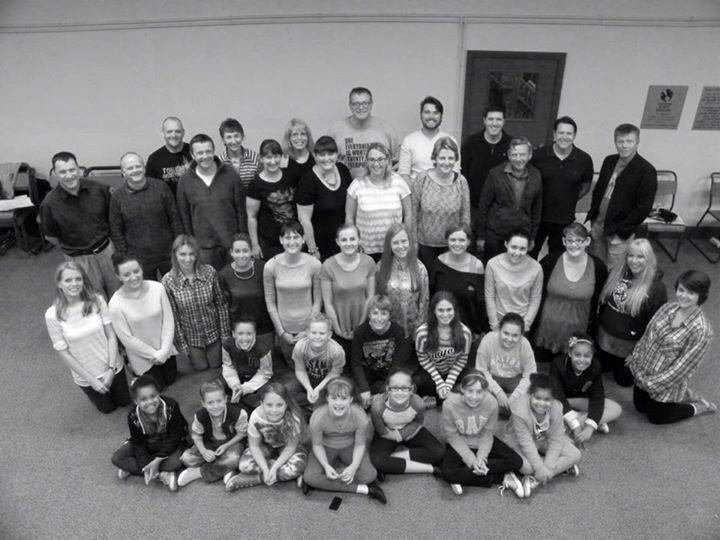 Main company rehearsals take place on a Wednesday from 7.30 pm until 10pm. Principals rehearse on a Monday evening, also 7.30 until 10 pm. Occasionally full company may be called for a Monday rehearsal and there are usually two or three Sunday rehearsals nearer to show week to put everything together. These are usually 2-5 pm. As shown on our Past Productions page, the Company produces two shows each year, during the February and October half term at The de Ferrers Academy in Burton, and usually a summer concert too. I am under 18, can I become a member? If you are 16 or over you may join the Company as a student member. If you are under 16 you may be invited to take part on a show by show basis. There are certain shows that require specific children and on these occasions, a separate children’s audition. The Company has a child protection policy which is made available to all members on request. Chaperones are used to ensure the well being of minors during show week. I am not an actor but I have other skills! The Stage Crew are a hardworking and dedicated section of the Company and without them, there would be no show! They meet and build at Ferry Street during Monday evening from 7.30 pm and Tuesday morning from 9.30 am. They are also fully involved in the set-up, before, during and after the show. Support and help from friends and family members of acting members is also appreciated. My time is more limited but I still want to support the Company…. The Company has always prided ourselves on the way we look after our audience. We have a very supportive team of volunteers who manage our front of house activities the weekend before show week and during the show. They sell tickets, programmes, refreshments and, most importantly, make it a thoroughly enjoyable experience for our audience. Our Front of House Team is always looking for new members and further details are available via our Front of House Manager.